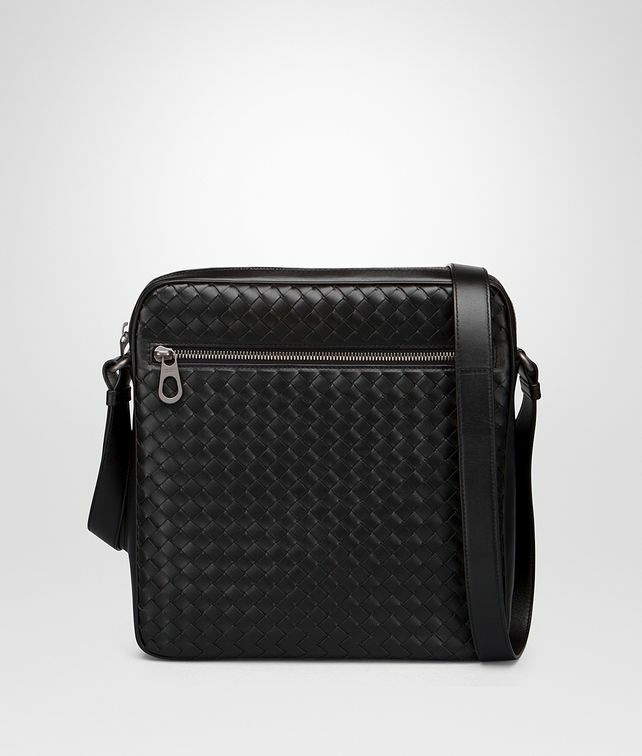 Slim messenger bag in premium hand-woven calf leather, making the textured surface both durable and sturdy. Smooth leather side panels add softness to the boxy design. The inside is lined in tone on tone cotton, with a multifunctional flat pocket and leather logo tag. An external zipped pocket adds extra storage space to this compact style, which is ideal to store the essential accessories you will need every day. Carry it by the adjustable leather shoulder strap.